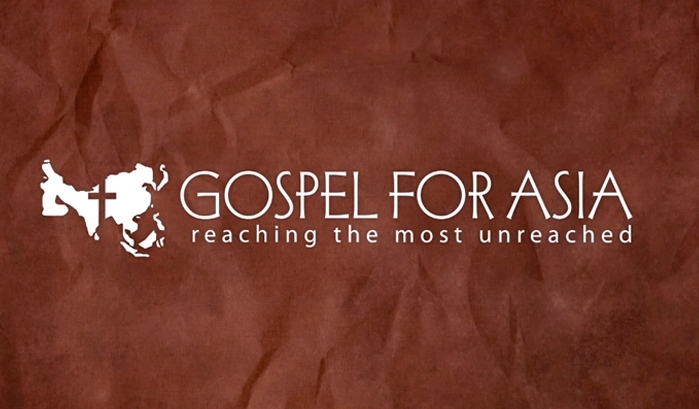 Readers of IndiaFacts are not unaware of Gospel For Asia Inc (hereinafter referred to as GFAI). We had earlier covered one of its activities – that of manufacturing atrocity literature. The specific instance we learnt back then was about a documentary movie it produced, named Veil of Tears which was profiled here. GFAI is based out of Texas, USA. It has subsidiaries (or equivalently named entities) in many countries across the world. Notably, although it purports to serve “Asia” (and thus India mainly), many pages on its website are not transparently available for users of IP addresses located within India. That is okay. If they want to hide some part of their content to the people they claim to serve, it is their call. What is unknown can be left unknown. However, in the present article, we shall focus on known knowns. Herein, we shall examine Indian organizations which receive funding from GFAI. The means we shall employ are the annual FC6 returns filed by Indian organizations registered under FCRA (Foreign Contribution Regulation Act) with the Ministry of Home Affairs, Government of India. Specifically, we shall examine the returns for the year 2011-12, unless stated otherwise. Both GSCS & OMI had figured in one of our earlier stories featured here. Only a negligible fraction of their funds in 2011 have come from GFAI. Most of their funds come from Operation Mobilisation, a worldwide evangelical entity. So, what is the situation with respect to GFA and BCI mentioned above? Well, the previous table shows that nearly 50% of the funds come from GFAI. In which case, who are their other donors? Note: LLC in the above two tables mean “Limited Liability Company”. 1. GFAI has established several LLCs in Texas on 27/08/2009. These companies too remit funds via FCRA to GFA-Kerala and BCI-Kerala. 2. The addresses of the LLCs shown in the FC6 return filed by the Indian organizations with Government of India is different from the Mailing Address provided by the LLC to Texas Comptroller of Public Accounts. (b) Living India Ministries (LIM), Manjadi P.O., Kerala. Sample FC6 returns of LHM and LIM for the year 2011-2012 are given here and here. We can check their returns for other years by changing the last portion of these URLs appropriately. For example, to see the returns for 2012-2013, change the URL as shown in bold: http://fcraonline.nic.in/fc3_verify.aspx?RCN=052930227R&by=2012-2013. It so happens that LHM and LIM were receiving funds from GFAI exclusively (that is, from no other foreign or Indian entity) until 2009-2010 (for instance, see their returns for 2009-2010 here and here). In 2010-11, LHM continued to receive funds from GFAI, while LIM received the same from, (take a breath) Teaching Skills LLC & Unconditional Love LLC! In 2011-12, LHM used interest from its corpus, while LIM received foreign funds, this time from Road to Peace LLC. In 2012-13, LHM received funds from Cup of Blessing LLC and Unconditional Love LLC, while LIM got it from Road to Peace LLC and Teaching Skills LLC. Given these, is it not fair to ask, “just how much does GFAI send overall to India?”. To answer that, let’s carry out this exercise. GFAI either directly, or through the LLCs it controls, sends money to GFA, BCI, LHM, and LIM. These four organizations do not receive funds from any other foreign/Indian entity. GFAI remits (relatively) small monies to GSCS and OMI, Secunderabad. It has once sent small money to Emmanuel Bible Institute Samiti, Kota, Rajasthan, but these minor amounts are ignored in the following figure. Foreign funds received by World Vision of India (denoted as WV in figure), Chennai (which is routinely featured as the Top Recipient in the Annual Reports prepared by the Ministry of Home Affairs) is also shown in the graph for the sake of comparison. Millions of ordinary Indians believe that all of these processes and procedures are Kosher and they have all been done to serve humanity. On another, personal note, a real estate broker in Bengaluru says that he has a building called “Vidhana Soudha” to sell. I need to ask Rev. Yohannan: please tell me, Reverend. Should I buy it? GFA Inc, Texas sends money to GFA, BCI, LHM, LIM , all in the Pathanamthitta region of Kerala. Company address given on the Texas Government website is different from that given by the Kerala organizations (recipients) in their returns to Government of India. The aggregated sum sent by GFA Inc, Texas is larger than that received by World Vision, Chennai.